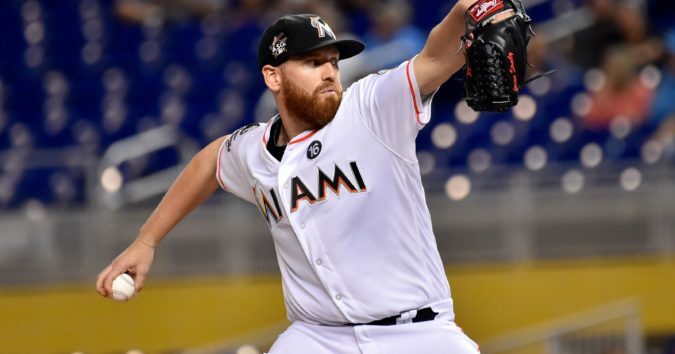 The Miami Marlins released Dan Straily on Monday. He will remain on release waivers until Wednesday morning, and at that time, he will become a free agent. If a team claims him while on waivers before Wednesday, he will still be owed his 2019 salary of $5 million, but if the team waits until Wednesday, he will be a free agent. The Padres, while having an abundance of high-level pitching prospects, are devoid of a proven, veteran starter. First, many thought the Padres would pursue former Cy Young Award winner Dallas Keuchel, who seems to be unrealistic about his price. Then there were rumors of trading for one of the Cleveland Indians’ prized starting pitchers like Corey Kluber or Trevor Bauer. However, those rumors seem to be dying off. Dan Straily is not the missing piece to make this rotation great, and this roster, a playoff-caliber team. He would be a band-aid. However, this young crop of arms deserves to have as much veteran experience and coaching as possible. If it can come at a lower price, all the better. Straily has seven years of major league experience, six more than most of the Padres’ rotation. He has never been dominant but has put together some respectable seasons. He has started at least 31 games in two of the last three seasons and 2016, posted a 3.76 ERA in 191 innings. He has had three straight seasons of positive WAR, with a career-high 2.1 WAR in 2017. Perhaps with some of that Darren Balsley magic that Padres fans have been spoiled with over the years, Straily can at least maintain a spot in the rotation and be respectable. Another reason why Straily would be attractive is the fact that he is right-handed. If the Padres indeed were to go with a rotation that consisted of Eric Lauer, Joey Lucchesi, Chris Paddack, Matt Strahm and maybe Logan Allen, that leaves Paddack the lone righty in the mix, which would be very unusual and could even leave this rotation at a disadvantage. Straily would add another right-handed arm to the rotation to balance it out. With seven years, 132 starts and over 755 innings to his name, Straily could be a source of knowledge if nothing more. 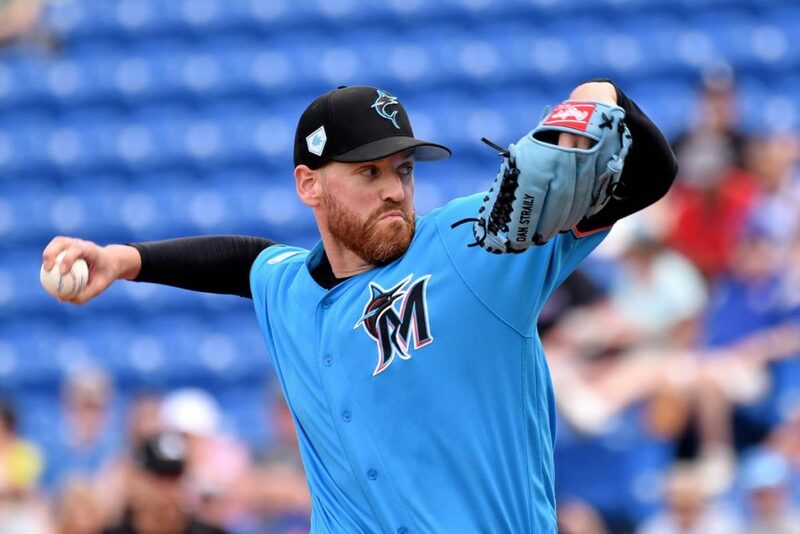 His career 4.23 ERA and 94 ERA+ certainly leave something to be desired, but in the last three seasons, he has either pitched in a sandbox hitter’s park like Cincinnati or with a terrible team, the Miami Marlins. Straily has made two starts at Petco Park, which happens to be the location of the highest strikeout performance of his career when he fanned 14 Padres’ batters in 2017. First of all kudos to Padre management and ownership for placing Tatis on the opening day roster. Now, with the catching, third base and outfield along with pitching depth we have in both major and minor leagues, bite the bullet and either sign Dallas Keuchel or make the trade for either Kluber or Bauer. Either of those deals would put the Padre faithful over the top with ticket buying enthusiasm. With our current group of starters we lack capable right handers and veteran leadership. Please do something because I believe we are very close to being able to challenge both the Dodgers and the Rockies. Even as we are right now we are better than the Giants and the Snakes. Straily is a competent 5th starter and a righty. At the very least he is a MLB 5th SP and insurance policy for a team that will likely have injuries. His innings will also lighten the load for other SP & RPs. Too much progress has been made to not add a SP. Preller can get it done temporarily for reasonable $ and still move on an Ace when available. Wasn’t a briefly a Padres three years ago? He is a gift horse. Pay the price and get this season on! We are looking at Erlin and/or Mitchell if they don’t just go with either Allen or Quantrill who showed yesterday neither was ready. We need 12 to 16 starts from this spot over the first few months, they hoped Mitchell would be the pitcher he was last September so they held off acquiring any band-aids just in case. Losing 30 games out the 5th rotation spot and taxing the bullpen for what amounts to a loss every 5th day is not good. I doubt we will score 25+ runs which was needed yesterday to win that game against Cubs minor league players for the most part. Buchholz would of been the move I would made just in case. Now we are down to Straily or anyone else that doesn’t accept a minor league assignment. For now Straily is at the top of that list. IMO, he is much better than Mitchell and Erlin is needed in the pen not the Opener every 5th day with a near 8.00 ERA. Hopefully Allen or Quantrill rebound and dominate in AAA in a hurry. Lamet will be back June or July. The fifth starter spot doesn’t even get 30 starts, much less lose them all. The Padres won’t need a fifth starter more than 4 times through April, and there won’t be more than 18-20 more fifth starter starts the rest of the season. Even at that, a mediocre pitcher is liable to win a few, not lose them all. Straily has a 5.94 ERA with 5 walks and 6 homers in less than 17 innings this Spring. Why pay $5 million for that when one of the kids can do better for less money, and get valuable experience in the process? First off you are forgetting about limiting innings for Paddack for sure and Strahm early in the season. You are assuming that all off days will allow to skip the #5 spot, that is not the case. None of our pitchers are going to throw a complete game, we will play a few extra inning games. The bullpen led all of MLB last season in innings. Straily is better than Mitchell. Erlin is needed in the pen, we need a couple of LHP there. Why waste solid pitching efforts by starters #1-#4 by having an overworked bullpen try to get 4 IP behind a Paddack quality start. None of our pitchers will do well if they pitch on short rest, they are young, in fact getting an extra day from time to time will be a huge plus. Starters go 33 or 34 starts in a full season. We have some help on the way mid-season but I would really like to avoid a BAD START that could bury us. Having a BLACK HOLE in the #5 spot is like starting the season with one hand tied behind our backs. Not having a Band-Aid just in case was a HUGE AJ mistake. Banking on Mitchell to be that EVER was even bigger. We need to make Strahm our #5. Not bring in a #5. At least by mid season.